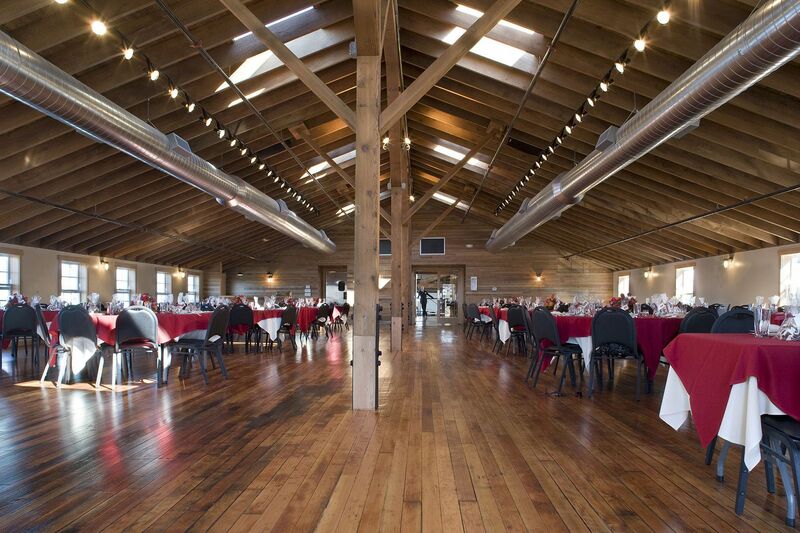 The Red Building houses a restaurant, community meeting space, office and retail tenants, and provides a public decked walkway along the river. 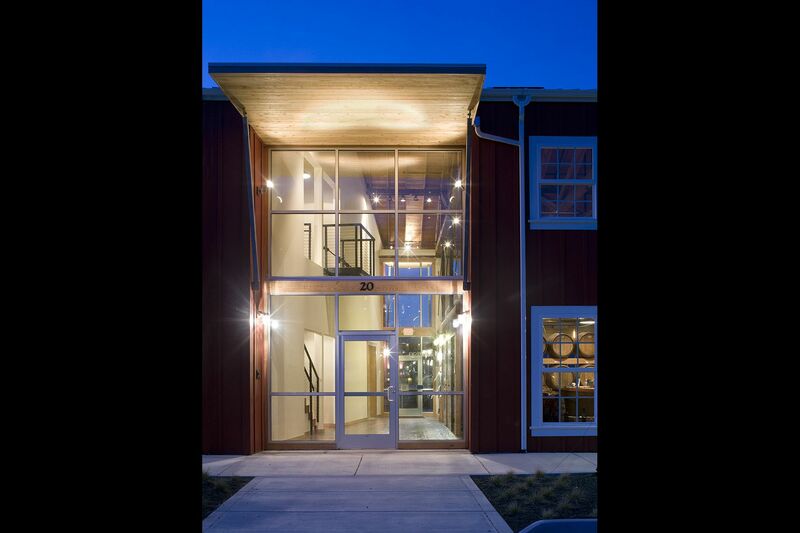 The building faces the Astoria Megler Bridge and Columbia River. Originally built in two phases, a new lobby bisects the building by taking advantage of skewed walls to create a forced perspective to the River. 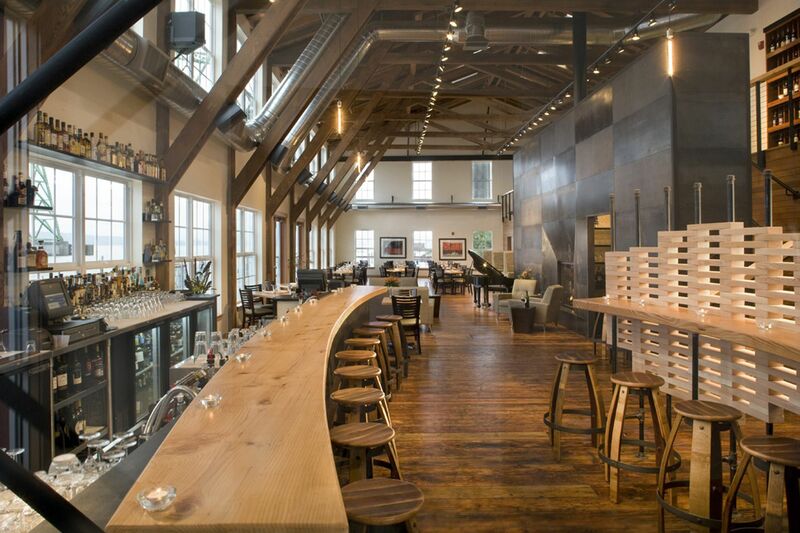 The Bridgewater Bistro, a 6,000 SF restaurant and tasting room, occupies the eastern half of the building and takes advantage of river and bridge views. 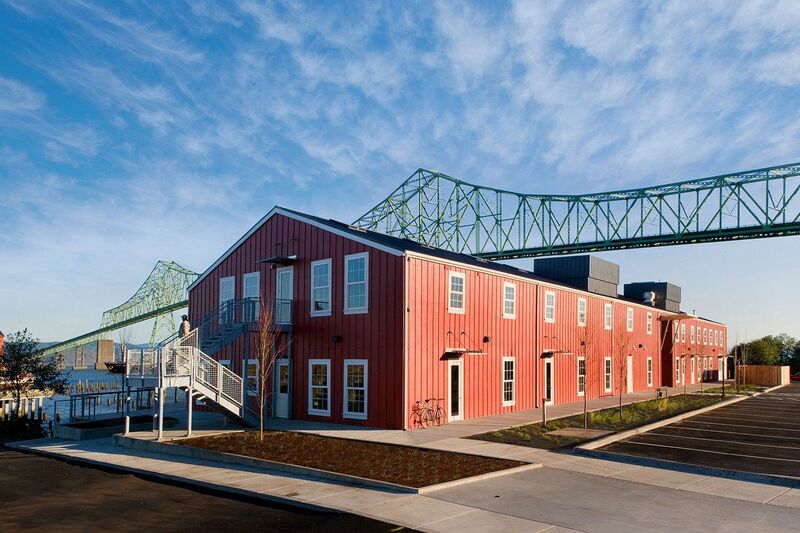 This mixed use structure provides modern amenities while celebrating the historic marine industrial heritage of Astoria’s waterfront. Existing old growth Douglas Fir framing and structure has been refurbished and exposed throughout. 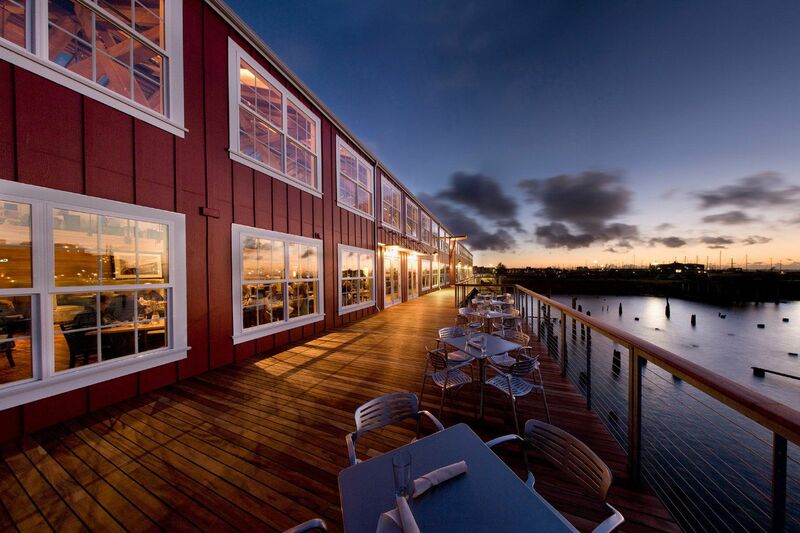 The existing wood siding has been reclaimed and refinished for interior wall finishes. A massive steel fireplace structure separates the kitchen from dining areas and provides a warm focal point to the dining area and lounge while referencing the ships on the River. Custom reception screens are assembled from black iron gas pipe and 2x4's. 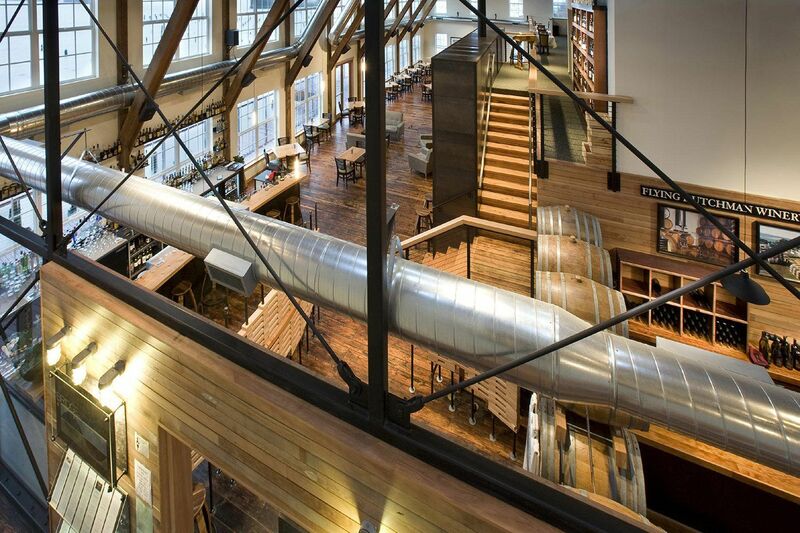 Materials throughout are reclaimed, industrial, and utilitarian in honor of the boat building facility that once occupied the warehouse.